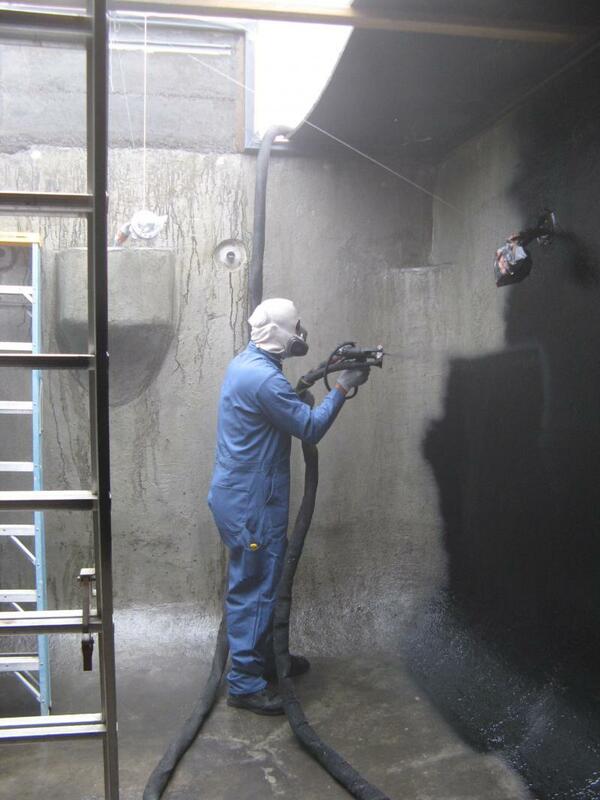 Artisan Aquatics is a water containment construction company specializing in the use of cutting-edge pure polyurea spray elastomer technology. Polyurea is resilient. 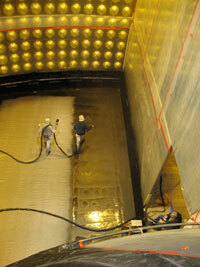 It generally wears better and lasts longer than any other water containment coating. While concrete cracks, and pond liners tear, the versatility of a polyurea coating will allow you to prevent leaks and to conceal or camouflage mechanical apparatus in your water feature. Paul Parszik, of Artisan Aquatics was trained in the waterproofing use of polyurea by Tim Zuber, the pioneer in polyurea spray technology. Artisan Aquatics exclusively uses SPI (Specialty Products, Inc.) coating materials, the first choice by the military and numerous major commercial and industrial users. Copyright © Artisan Aquatics. All rights reserved.